There is a beautiful arbor-archway of climbing white Lady Banks roses at the monastery, which lines up with a walkway to Mary's Garden and chapel behind. My family and I visited the monastery yesterday afternoon, after our egg hunt and big dinner. I almost submitted this image for WWPD, but chose this image instead. 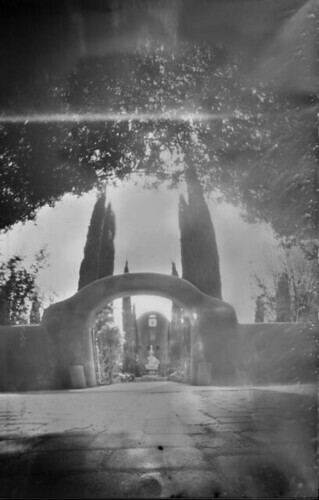 Happy World Wide Pinhole Day!!! !